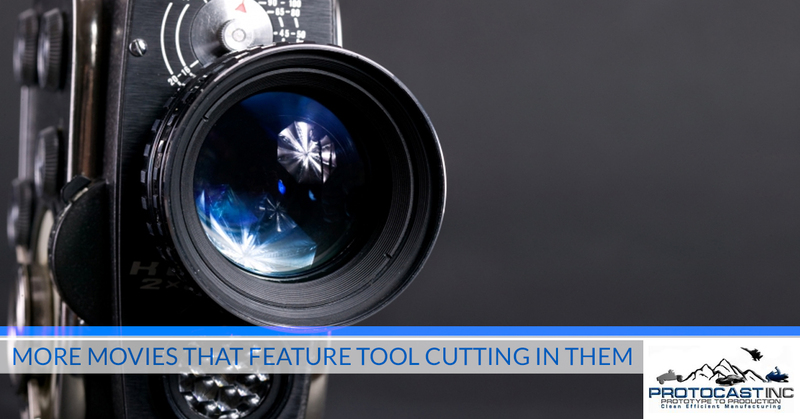 In a follow-up to our tool cutting appreciation post, Protocast Inc. is back again to touch on a number of movies that feature tool cutting and tool making in the story. In our biased opinion, we think that this important practice just doesn’t get enough attention or glorification like other professions do in movies. Things like CNC machining and machined parts play a very important role in today’s modern-day economy and have for quite some time. Get Your Machining Done At Protocast Inc.
Well, at least these movies understand where our Denver tool cutting shop is coming from. Let’s dive into the rest of these films and their plotlines, featuring the beautiful art of tool making. Contact Protocast Inc. here if you have any questions about our tooling services, or learn more about our machining services here. This one is a touch older than the other films we’ve gone over, but it’s totally worth mentioning. A dark beauty, this film served as Michael Mann’s directorial debut. The story stars James Caan playing a character named Frank, an expert diamond thief looking to retire and straighten out after a life of crime. Once a thief always a thief, Frank has to do one final job so he can cash in and get out, but of course things go wrong when he lets his guard down and starts to trust the wrong people. Story aside, you do get to see a welding torch in action, which is pretty exciting. More close-up camera work focuses on a drill bit plunging into a vault door, sending sparks artistically flying in all directions. There’s some strange connection between jewel thieves and machine tools in movies, so it seems, and Michael Mann’s signature style really seems to capture this better than most actors can. Well, at least by 1981 film standards. This story, starring Sally Field as the main character, focuses on textile workers in a southern town who endure the harsh conditions at a mill until Norma joins with a labor organizer to help create a union at their shop. Though the work is hard, dangerous and fast-paced, Norma is seen working hard day in and day out, stringing thread on looms and barely staying out of the way of mechanical arms, cogs and levers. It’s a shame that it’s pretty difficult to find many other examples of women workers in major films. Come on, Hollywood – as we all know, women make the world go round even when it comes to tool machining and they should have more character roles like this. Ah, there’s nothing like a film with young Edward Norton. Well, Norton and Robert De Niro make a great combination for a movie as we’ve seen in The Score. De Niro plays Nick Wells, a career criminal who wants to retire (sound familiar?) to the relative simplicity of his jazz club in Montreal. His partner in crime, Max (played by Marlon Brando), convinces him to do one last job (also sound familiar?) by working with Norton’s character, Jack Teller. The final job is to steal a jeweled scepter from a secure vault in the catacombs of the Montreal Customs House. And now, for the good stuff. In one scene, Wells and Teller are discussing the details of the job in Well’s backroom workshop, carefully looking over the blueprints of the safe that they must break into. They wield a combination mill and drill setup and a variety of well-organized hand and power tools. When they later get into action, Wells is seen using a plasma torch to cut a hole into the top of the safe. Filling the safe with water and re-sealing it, they detonate a charge and the resulting hydraulic pressure blows the safe door off its hinges. The detailed close-ups of De Niro quickly and expertly bringing one tool after another for each task is a nice touch. What’s also great about this movie is that everything is more or less plausible and done in real time without any cheesy special effects. Cutting tools is a precision-based process that doesn’t allow any room for error. Trust our CNC machine operators and engineers to do the job right every time at our Denver tool cutting shop. Contact us with questions!